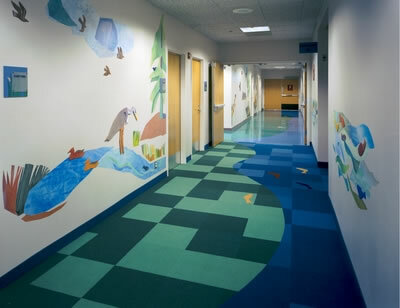 Philanthropist worked closely with WGS Incorporated to create a playful environment for children to learn at the Gerry Frank Center for Children’s Care at Providence St. Vincent Medical Center in Portland, Oregon. Using the local Columbia River as design inspiration, the waiting room features murals of native plants, wildlife and tugboats to provide entertainment for children. Several colors of blue carpet flow from the waiting area to the examination areas, bringing the concept of the river to life and establishing design cohesiveness. By quarter-turning modular carpet tiles in blue and green colors, the carpet of Antron® by C&A Floorcoverings abstractly expresses the variety of hues seen in the river and land. 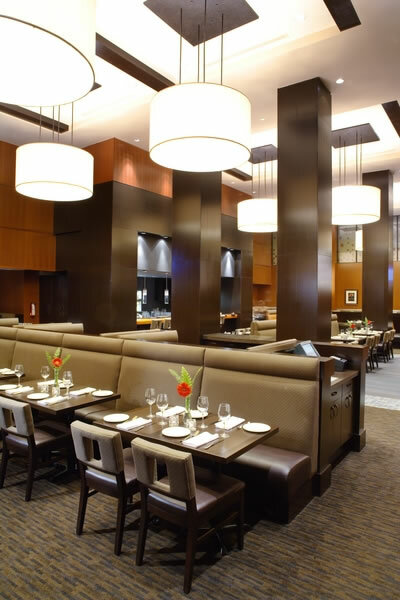 The design goal for the Dockside Café at the River Rock Casino Resort in Richmond, British Columbia was to create a contemporary West Coast look, while maintaining intimate environments within the large-scale space. Using the natural environment as a theme, Sheffield Design Studio selected a color palette inspired by subdued fall colors. “Hip” by Designweave Commercial Carpets, constructed of Antron® carpet fiber, features rich, deep earth tones found in the West Coast. The texture of the carpet provides great contrast to the hardwood flooring and slate tile, while the directional pattern provided depth and enhanced linear viewpoints. The interior vision for the Cascade Clubhouse at Trilogy at Redmond Ridge in Redmond, Washington was to surround the interiors with the natural and relaxed culture of the Pacific Northwest and appeal to an active and sophisticated audience. 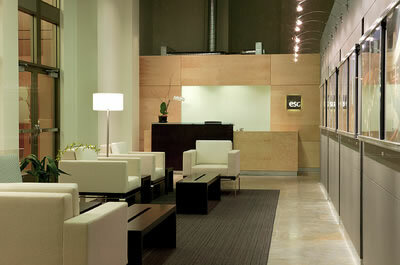 The design team at Design Lines created a custom carpet constructed of Antron® carpet fiber by Masland Contract. The carpet was designed to be playful and contemporary, while simulating life in the area, through mountains, sun, water and trails all inherent in the carpet design. The Asian feel of “Appian” by Masland Contract was selected for the spa to emulate nature on the floor. In the design center, the team specified “” by Atlas Carpet Mills to incorporate a circular pattern into the space with a subdued tone, maintaining the overall neutral effect of the space. The design team at Granary Associates was tasked with creating a student lounge with an urban feel to give Temple University students a place to gather and create a sense of community. To attract students to common areas, designers selected fresh, clean and crisp colors with bold patterns easily viewed from the lobby through glass windows. The multi-functional lounge contains a large screen television, study area for students and a game area with a pool table and television. Two coordinating carpets of Antron®, “Arrowmont” and “Penland” by Atlas Carpet Mills contribute to the hip, fun design. 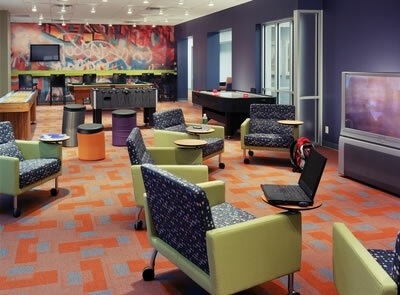 The Southwest YMCA of Metropolitan Milwaukee wanted to make their space more appealing for its patrons. Limited to interior renovations, Uihlein Wilson Architects focused on lighting and flooring to lighten up and brighten the space. While some architectural features could not be altered, the designers used color and pattern on the floor to define areas and create a sense of movement throughout the space. 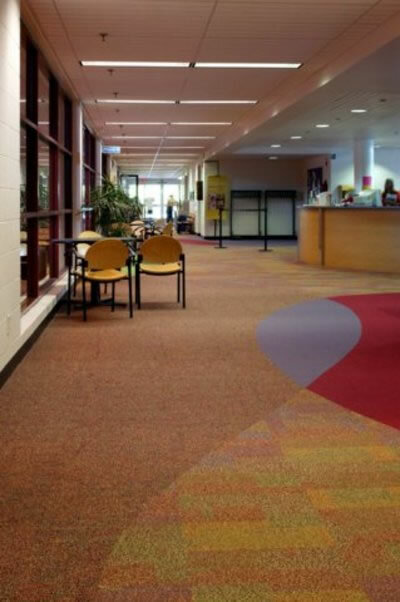 The creative and curvilinear design of the flooring was achieved by using several Interface Flooring Systems modular carpet styles constructed of Antron® carpet fiber. ESG Architects in Minneapolis sought to bring their employees together in one large studio to foster greater collaboration and creativity among small project teams. The newly designed workspaces celebrate the firm’s open culture and allow every employee visual access to natural daylight from their desks. The design team selected a textural modular carpet that would help create a cozy atmosphere. 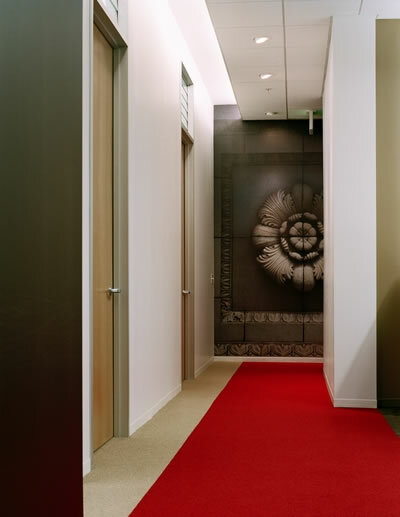 The carpet from Interface Flooring Systems – was selected for it’s warm, neutral color palette complementing the use of architectural materials.